Here we have a clip from the January 24th 1913 edition of 'Fur and Feather'. The Caption for this photo is: BRACE OF EASTERB BEAUTIES. 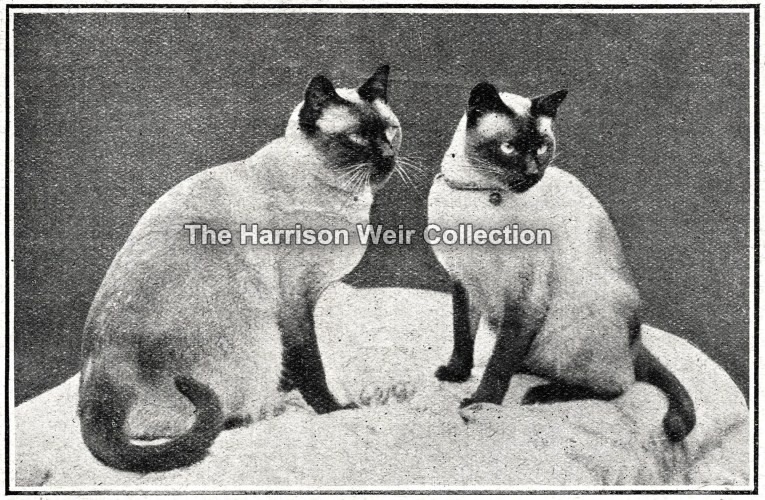 Miss M.Livingstone's Siamese Neuters,"Togo" and "Eoin", winners of many 1sts and other prizes.